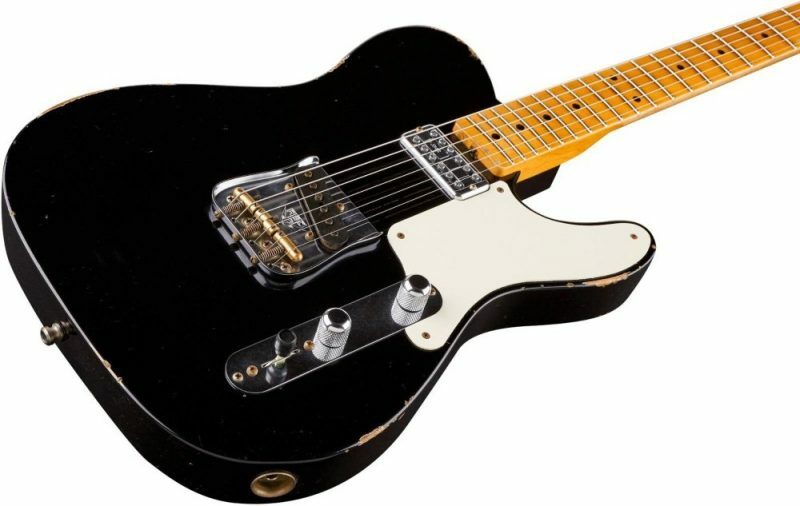 Black Dot is excited to have ordered one of the above Limited “Top 20” Guitars. 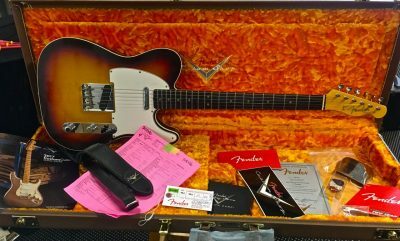 Want to secure this incredible guitar before it arrives? The 2015 Limited Edition Relic® Tele® Caballo Tono presents a fresh take on Fender’s original workhorse tone machine. 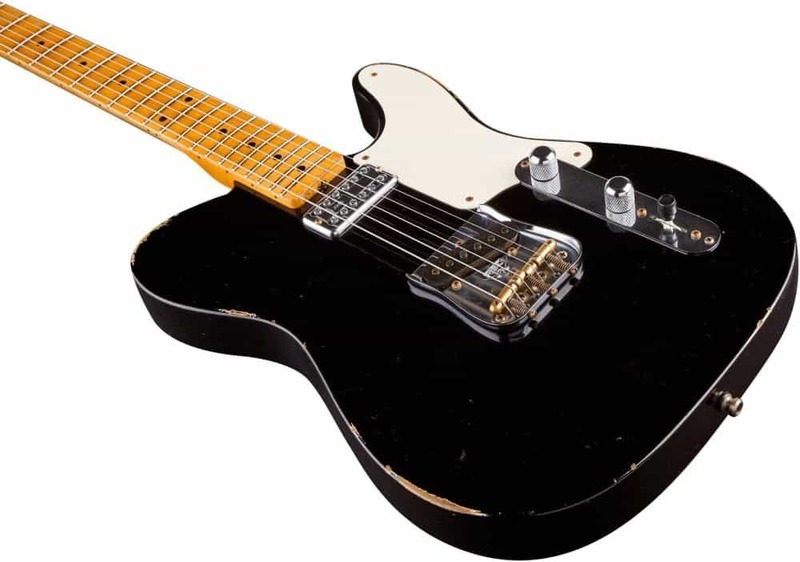 Its name translates to “Tone Horse Tele,” and there is indeed a great deal of horsepower here, courtesy of a TV Jones® Classic neck pickup, a hand-wound Texas Special™ Tele bridge pickup and a Greasebucket™ tone circuit, which rolls off highs without reducing gain. 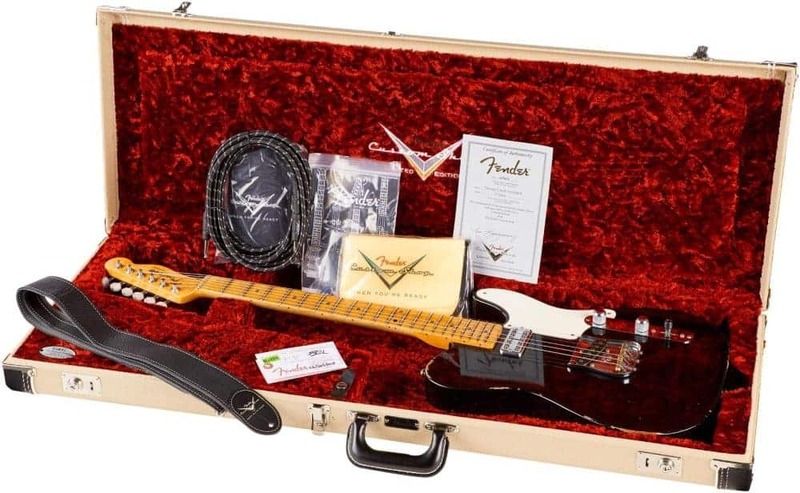 It’s a dark horse too, with a Black lacquer finish on its lightweight alder body and the aged-and-worn Relic treatment to impart the look of authentic wear and tear. 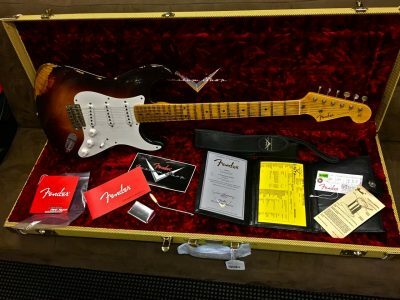 Other premium features include a quartersawn maple neck with a worn Relic treatment, 9.5″-radius maple fingerboard with 21 narrow jumbo frets, distinctive Cabronita pickguard and reverse control plate (pickup switch placed behind control knobs), rock-solid Custom Shop RSD bridge, Sperzel® tuning machines with pearl buttons, and Schaller® strap locks. Black Limited Edition case included.